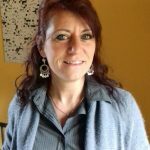 Angela Rees is a project manager, researcher and trainer for Pontydygsu. She has been involved in many pan-european education and research projects since joining Pontydysgu in 2009. 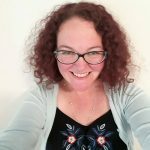 With a PGCE and an MA in Special Educational Needs her expertise lies in teaching, training, MOOCs, e-learning and open badges. 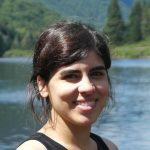 Maria José Brites is Assistant professor at the Lusófona University of Porto and researcher at CICANT. 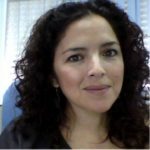 She is the Portuguese coordinator of MIA and she had coordinated (in Portugal) the RadioActive project (2013-14). She is a member of three research networks (COST IS1401 European Literacy Network – where she coordinates the Digital Literacy Team, COST IS1410 DigitLitEY, and CA15212: Citizen Science to promote creativity, scientific literacy, and innovation throughout Europe) and of two projects (News as Democratic Resources and Young children’s digital literacy and multimodal practices). Research interests: Participatory methodologies, Youth, journalism and participation, Audience studies and News and civic literacy. 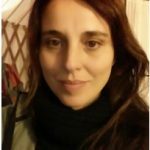 Ana Jorge is Assistant Professor at Universidade Católica Portuguesa, and researcher at the Research Centre for Communication and Culture and CICS.NOVA. She holds a Media and Journalism Studies PhD from University NOVA of Lisbon, where she also conducted postdoctoral research on media education. 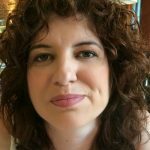 Ana researches on children, youth and media, audiences and celebrity culture, and she has taken part of international projects and networks as EU Kids Online, RadioActive101, COST Transforming Audiences, COST DigiLitEY, COST European Literacy Network. She has worked as press officer in companies and agencies, and acted as dissemination assistant for several research projects. 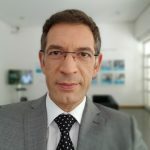 Daniel Catalão is Journalist and Presenter at RTP televison (Portuguese TV Public Service Broadcast), specialized on internet and new technologies. 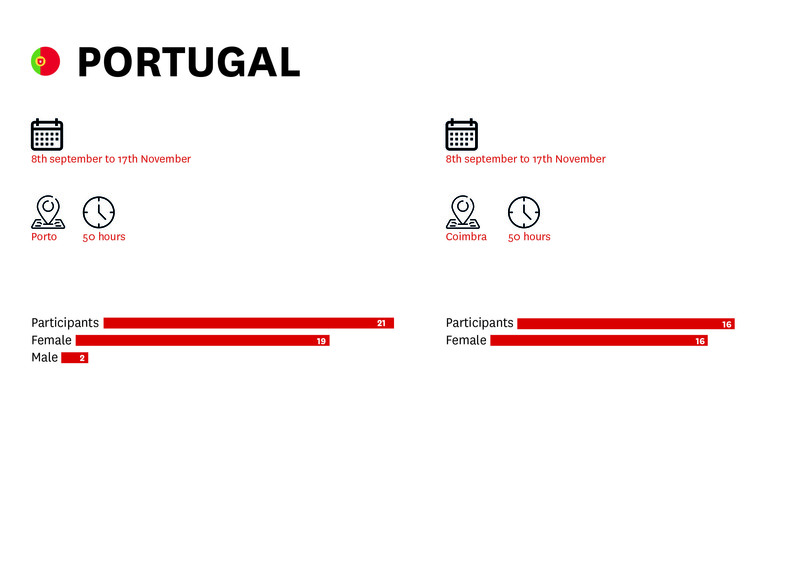 He is also Assistant Professor at Lusófona University of Porto, and “Digital Media” PhD student at Faculty of Engineering University of Porto. Daniel has been part of international research projects on media education and literacy (RadioActive Europe and RadioActive Portugal). 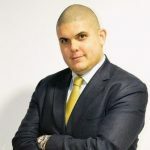 Fernando Catarino holds a MSc degree on Religion Studies by Catholic University of Lisbon since 2014. 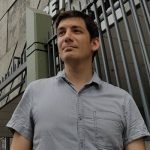 He is a junior researcher at Centre for Research in Applied Communication, Culture, and New Technologies, Universidade Lusófona de Humanidades e Tecnologias (CICANT, ULHT). He is also a PhD student in Communication Studies at the same university, whose main interests are health communication, e-health, m-health, e-learning, m-learning, theology and human sciences. As project manager he has good organizational skills and competencies, training and professional experience in managing European and national co-funded projects. As researcher he has participated in five international founded projects, namely: InnovaMuseum: Museums come back to the local community through Art&Food – Ref: 570516-CREA-1-2016-1-IT-CULT-COOP1; Improving Prenatal Health Communication: Engaging Men via e-Health; Creative Lab : Access to Profession for persons with Handicap – Ref: 2017-1-FR01-KA202-037386; Media Literacy for all; and Migra-TED: Migrations and human rights enhanced through Technology in Education. 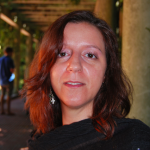 Inês Amaral is Associate Professor at the University of Coimbra. She holds a PhD in Communication Sciences – Interactive Media, by the University of Minho. Inês is a researcher at Communication and Society Research Centre. She is member of COST Action IS1402 Ageism from a Multi-National, Interdisciplinary Perspective, COST Action CA15122 Reducing Old-Age Social Exclusion, and COST Action IS1401ELN Strengthening Europeans’ capabilities by establishing the European literacy network. Research interests: digital media, social movements, media audiences, media and digital literacy, active ageing and new technologies. 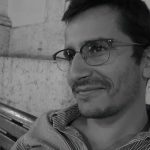 Dr. Giuseppe De Anseris is Political Sciences graduated, with about 10 years of experience in project designing and management on EU Programmes (Social European Found, Regional Development European Found, Found for the Integration of Third Countries Citizens, PROGRESS, EU Tenders). He also is experienced in monitoring and evaluation of Applications. 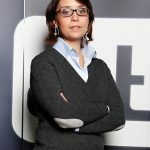 Project Manager of Nuova Dimensione, will be responsible of the management of the activities and tasks of the Partner. 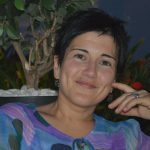 Francesca Ferrini is a relational counsellor in Pedagogy for the Third Millennium and psychomotricist of both the child and the adult. For twenty years she has participated in courses on communication and relationships. She works in different fields: educational, social, rehabilitative and therapeutic with different types of users: the elderly, minors and people with physical and mental disabilities. 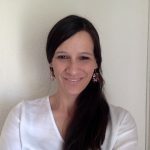 She designs and implements differentiated therapeutic paths for the development of potential and deals with support for parenting through specific courses aimed at families and couples. She is a lecturer in different organizations that deal with teacher training and is a facilitator and supervisor within work groups. 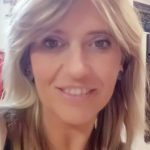 Francesca has collaborated in the design and implementation of the didactic and educational materials “imparare divertendosi” (learning while having fun), multimedia CDs aimed at cognitive development in early childhood. She has also created, designed, implemented and promoted a number of services in agreement with Milan city council for minors in difficulty. In particular, in recent years she has deepened her studies on the link between neuroscience and learning. Dr. Monia Boccali is a Political Sciences graduate, with 5 years of experience in project management, specialised in applications addressed to youth in culture and integration of young immigrants. She also is experienced in the coordination of work group and in the management of communication, web pages and social network accounts. She has also worked as a journalist in several local television stations and newspapers. Anthony F. Camilleri is a founder and director of Knowledge Innovation Centre. He works in areas linked to Quality Assurance, Open Learning and Education Management. He is also a secretary of the International Standard Organisation PC288/WG1 which drafted a standard for Quality Management of Educational Organisations. He holds qualifications in law from the University of Malta, and was also active in the Malta national students’ union and the European Students’ Union. 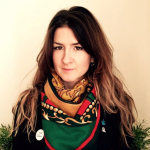 Ivana Stanojev works as a Project and Communications Associate at KIC. She holds MA in Sociology, University of Belgrade. She has 10 years of experience working as a project officer and a researcher for various Serbian NGO’s and Government agencies, as well as for international and intergovernmental organizations, on projects dealing with democratization and inclusive governance, youth and non formal education. 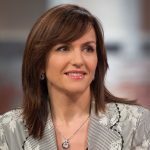 Her experience with the field of media/media related projects began in Belgrade based Media Centre, then continued with Sarajevo based Media Intelligence Agency, and finally as an associate on projects with Independent Journalists’ Association of Serbia. She joined KIC in November 2017, where she now works on projects related to equity and social justice in education. 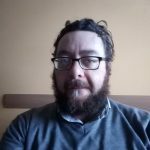 Ph.D. Ignacio Aguaded is Full Professor of Media Education and Technologies applied to Education at the University of Huelva (Spain). He has a degree in both Spanish Studies and Education and also holds a PhD. He is the founding President of Comunicar (a group of teachers and journalists that aims to raise the profile of media education), edits the Iberoamerican Journal of Media Education ‘Comunicar’ (ISSN: 1134-3478) (indexed in ERIH, Scopus and Journal Citation Reports) and is also a regular contributor to various international publications. 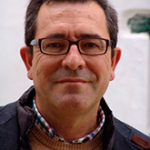 He has led the Research Group «Agora», part of the Andalusia Research Plan and has conducted various research projects within the framework of Spanish and International Programmes, such as Interreg III, E-learning, and INTI, all related with the area of media education. Ph.D. Paloma Contreras-Pulido is Journalist and Social Educator. Educommunication Doctorate from University of Huelva. Professor at the University of Huelva in “Media, social control and critical consciousness” which belongs to degree of Social Education and Professor to degree of Primary Education (TIC in Primary Education). Professor in several official Masters as “Audiovisual Communication and Education”; Máster “Radio” in Radio Television Española and “Journalism” in Francisco de Vitoria University. 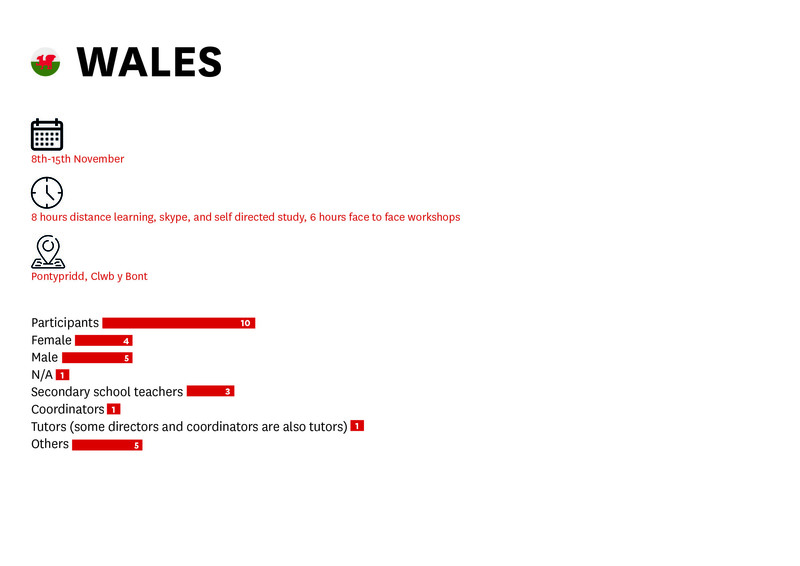 Nowadays teaches for “Interuniversity Doctorate in Andalusia Communication”. Is member of Comunicar Group and Scientific Reviewer of Journal Comunicar. Member of Alfamed (Euro-American InterUniversity Network for Research on Media Literacy for Citizenship). Is researcher in Group ‘Ágora’. Daniela Jaramillo-Dent is an Educator and Teacher Trainer. Her background combines experience as a secondary school teacher, researcher and coordinator, leading curricular change processes in formal and informal educational settings at the international level. She is passionate about the inclusion of media literacy in the classroom and in the school community as a whole. Ph.D. Amor Pérez-Rodríguez is Professor at University of Huelva (Spain), within the catchment area of Didactics a Language and Literature; Professor of the International Master of Communication and Education (UNIA, UHU) Spain, Professor of the Interuniversity Doctoral Program in Communication (US, UMA, UCA, UHU) Spain. Member of Editorial Team of Comunicar Journal (indexed in JCR, Scopus, SSCI, Erih+…); Member of Alfamed (Euro-American InterUniversity Network for Research on Media Literacy for Citizenship); Researcher of «Agora» (Research Group the Andalusian Research Plan (PAI-HUM-648); Member of multiple Scientific Counsels in Scientist Journals. Ph.D. Rosa García-Ruiz is Professor at University of Cantabria (Spain), within the catchment area of Didactics and School Organization. PhD in Education from UNED (Spain). Collaborator professor of the International Master of Communication and Education and collaborator of UHU Interuniversity Doctoral Program in Communication. Member of editorial team of Comunicar Journal and Alteridad Revista de Educacion. Member of Alfamed (Euro-American Inter-University Network for Research on Media Literacy for Citizenship). She is a member of multiple Scientific Counsels in Journals. She has been research in international and national projects. She has been, the main organizer and president of various scientific committees of academic events, national and international symposiums. Research interests: education, media literacy, teaching methods, training needs and design training plans, university education, ICT. Ph.D. Águeda Delgado-Ponce is Ph.D Professor in the Department of Philology at the University of Huelva, Spain. Degree in Spanish Philology, Master in European Literature and Teaching Language and Master in Communication and Audiovisual Education at the University of Huelva. She is a Fellow of the Group Comunicar, Euro-American inter-university network Alfamed and the Group “Agora”, Investigation Group in the Andalusian Plan of Investigation, involved in various international investigation projects. Her research examines the media competence and new languages of communication. Ph.D. Luis Miguel-Romero-Rodríguez. Associate Professor at the International University of La Rioja (UNIR) and International University of Andalusia (UNIA), Spain. Assistant Editor of Comunicar Journal (JCR Q1) and Editor-in-Chief of Retos Journal. Associated Researcher of the Agora Research Group (PAI-HUM-648) of the University of Huelva (Spain) and Vice President of the Euroamerican Interuniversity Research Network on Media Literacy for Citizenship (Alfamed). PhD. in Communication Studies and M.A. in Communication Studies. His research interests include Media Competencies, Disinformation, Media Criticism and Political Communication. Teaching and research experience in Venezuela, Colombia, Peru and Ecuador. 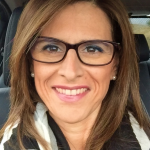 Ph.D. Ana Pérez-Escoda is PhD in Information and Communication Technologies in Education (University of Salamanca, 2015). Associate Professor in the International University of La Rioja and Research Management and Postgraduate Studies Coordinator in the Pontifical University of Salamanca. She also collaborates as Professor in Nebrija University and in the Interuniversity Doctoral Program in Communication (US, UMA, UCA, UHU) Spain. Member of Editorial Team of Comunicar Journal (indexed in JCR and Scopus, first positions) as Assistant Editor; Member of Alfamed (Euro-American InterUniversity Network for Research on Media Literacy for Citizenship. She is peer-reviewing in several publications. Advanced English skills and also digital skills. Also prove to be an effective team worker. 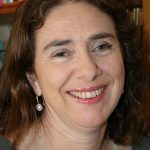 Ph.D. M Carmen Caldeiro is PhD in Communication and Education, teacher at University of Santiago de Compostela (Spain) Collaborator professor at International University of Valencia. Teacher at different Spanish universities and teacher at Latin American universities (Chile and Ecuador). Researcher at Center for Higher Education Studies (Czech Republic). Member of Alfamed (Euro-American Inter-University Network for Research on Media Literacy for Citizenship). She is also member of advisory board and scientific reviewer to national and international magazines.